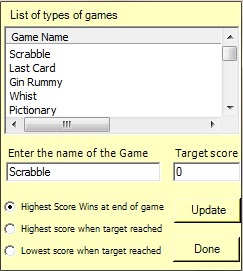 You've Scored is a pretty neat tool that you can use when you are on the move and only have a pack of cards or travel scrabble. It lets you throw away the scrap of paper and pencil and use your mobile device to keep track of the scores. 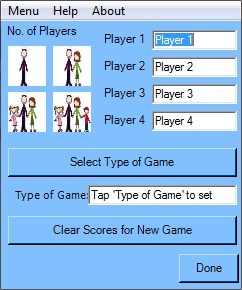 You've scored allows for up to four players in games with up to 99 rounds and up to 50 different styles of games that you can use or edit (Scrabble, Uno, Whist, Last Card, Pictionary etc. etc.). You can edit the scores at any time and then continue playing. When playing cards you can select first dealer and it will track this for you and you can save your scores by game, date and winner and view the leader board at any time. If you are in Programme or Project Management then go to www.PiccoloConsulting.Co.Uk for other applications and latest versions of You've Scored. Really great app for camping and beach trips where your just relaxing and never again have to worry about getting a pen and paper. Thanks a million! Very good application. No more trying to find a pencil and paper to keep score for your game. 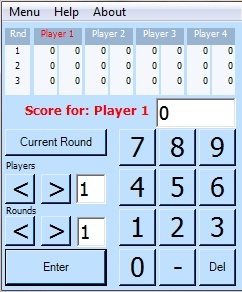 You can create your own scorecard even if the game you want is not listed. The app also gives you the ability to save reults for future review which is a nice touch. Looking forward to future updates. But please download this version from this site first.